This track is again made only with the internal sounds of the Deluge, but this time I played with them a bit more. It’s been a week since the news broke that Keith Flint, the legendary front man for The Prodigy, took his own life. It is with deepest shock and sadness that we can confirm the death of our brother and best friend Keith Flint. A true pioneer, innovator and legend. He will be forever missed. I was shocked to hear the news. Couldn’t believe it at first. Then it was confirmed by more and more news outlets and eventually by Liam of The Prodigy on the band’s Instagram account. On the fan forums people were describing a lot of heartbreak and misery following Keith’s death. Being a big fan of The Prodigy I felt a lot of the same things. The Prodigy have been a part of my life since around 1992 when I first heard them on the radio. I previously wrote about how I started listening to them. In all the years since, The Prodigy were the soundtrack for my life. Every album is linked to a time and a place, every song comes with memories. Like when I handwrote a letter to XL Recordings asking whether there was a fan club I could join for The Prodigy (this was in the pre-Internet era). Or when I repeatedly called the local record store to see if the second album had arrived, then went to get it and just stood in my room listening to it over and over again, so excited. The third album had a midnight launch thing at Tower Records, and this was after the first time I had seen The Prodigy live, so I was again so excited. 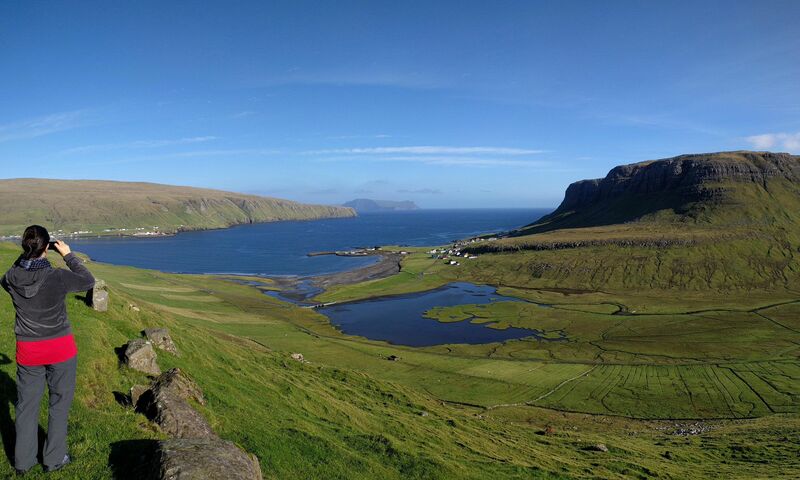 I also had no way of getting back home, but I didn’t care. Speaking of that specific first time I saw The Prodigy, it’s also the first time I shook Keith’s hand. It was during the height of The Prodigy’s worldwide popularity. As we were waiting outside the venue, a van stopped and suddenly The Prodigy’s members were coming out of it. I couldn’t believe my eyes. It’s very irregular for the band to enter the venue through the fan entrance. As Keith was passing by I shouted “Keith!” and he came over, shook my hand and asked me how I was doing. I was stunned and had no words. The second time I shook Keith’s hand was in 2009. I was waiting for the band to arrive to the venue along with some kids who had framed photos for the band to sign. The bus came around and I got a chance to say a few confused words to Keith while Liam was standing there nodding. Keith was, again, the nicest a man at his position can be. I still remember walking around the streets of Hong Kong bobbing my head to the music and smiling. 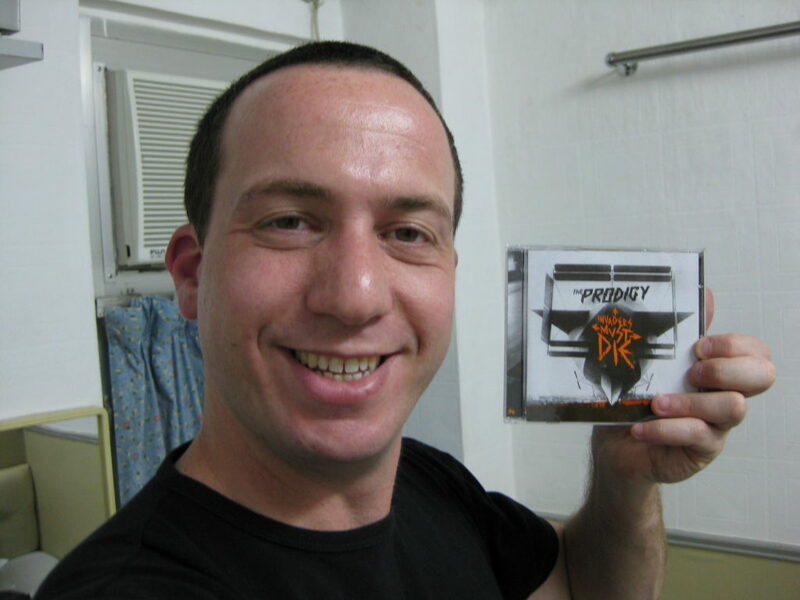 I have many many more memories related to The Prodigy and Keith – dancing to Firestarter in a club in Haifa, dancing in all the living rooms I ever lived in, taking friends with me to shows in Europe and in Israel, bonding over the exhilarating experience that is The Prodigy’s live show. Meeting new people and friends in and around those shows. In total I saw them live 23 times, the majority of those in the past 10 years. The last time was with my wife in Madrid. I’m so glad I had a chance to go with her. Shame I wouldn’t be able to share the experience with our daughter. The death of Keith is, I’m afraid, also the end for The Prodigy. Even though the music is always what mattered to me with The Prodigy, and even though Liam Howlett – the brain behind the music – is still alive and well, I can’t see how The Prodigy can exist without Keith. It’s always been about the live shows, and without Keith there is no live show. Keith’s death closes a 30-year long chapter in my life. I’m lucky to have had such a great band as part of my life for so long. In the last few years since I met my wife, every year something big has happened. That’s good, I think, to have something big happen once a year. Obviously this year (by far) it’s the birth of our (first) daughter. So that’s the big thing for 2018. In 2017 it was getting married. I didn’t do a birthday post on January 2018 for some reason that I don’t remember at the moment, but I’m sure was very justified. Anyway, we celebrated my 42nd birthday by going out to nature again, this time with our daughter. It was a lot of relaxed fun. Then we went out to eat and later in the evening we went to see a movie (Instant Family. Not bad.) We haven’t gone to the movies since the birth, so that was a lot of fun – to be out just the two of us. Unfortunately after the birth I stopped working out (I switched exclusively to swimming because of some pain I had sometime during 2018.) This means I’ve been gaining weight and I’m not happy about that. Hopefully I’ll get back to at least occasionally doing something in the realm of physical activity from time to time. I started making electronic music after getting 2 Pocket Operators as a gift, then buying another one and eventually buying the Synthstrom Deluge, all of which I enjoy playing with a lot. You can listen to my “tracks” (they’re really amateurish) on my SoundCloud tracks list. I also post them here on the blog. Making music has proven to be a wonderful new hobby for me. I really enjoy it, even if I never become actually good at it. In this track I used a “Moog triangle bass” sample from the Viktor NV-1 online synth, and the Flute Trills 3 and 9 from the Converse Sample Library. I started this track a long time ago, but just got around to finishing it. I really wanted to pick better samples for it, but eventually I decided that this will do. Oh, well. The latest single from The Prodigy’s new album is this wonderful track, which is both old-sounding and fresh, something that is very hard to manage. The video is too violent for my taste, but the music is great. Lots of explosive energy in this one. If you know me then you know rainy days are not my favorite – I’m a sunny day kind-of-person. But if rainy days bring you joy and peace of mind, then you are a pluviophile and there’s a new website for you, which is being maintained by a good friend of mine. Have a look at pluviophile.net. This is a presentation by my friend GL0WKiD of the new album No Tourists by The Prodigy (available on all streaming platforms). A great way to listen to the new tracks mixed along with older tracks and great commentary. Check it out. Seriously, though, it’s been very exhausting to have a newborn in the house. We’re still getting acclimated to the new situation, while enjoying our wonderful beautiful (I’m totally objective) child. I had to put aside my new endeavor of music-making for now. There’s just not enough time for it at the moment. Hopefully I’ll be able to get back to it in 2019. Also, I didn’t write about the new and excellent new album by The Prodigy, which I’m enjoying a lot. 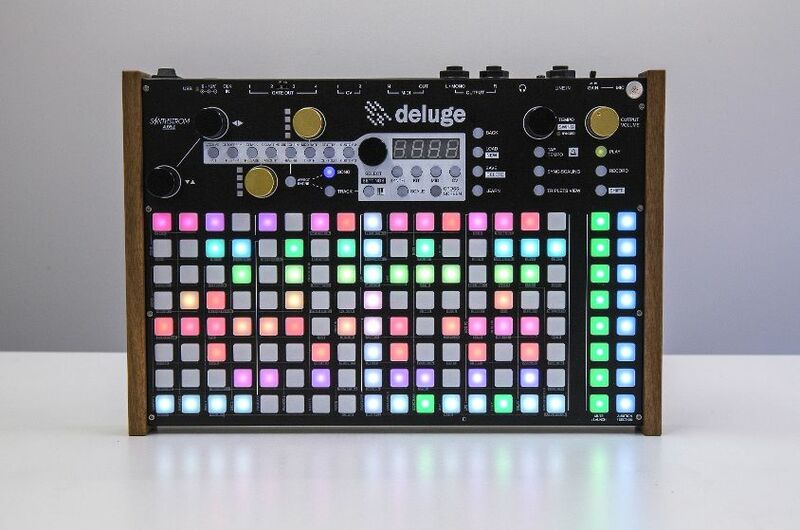 Not too long ago I got a new music making device called the Synthstrom Deluge. It’s a professional portable synthesizer, sampler and sequencer. Or, as I’ve seen it described, it’s a groovebox. My first track with the Deluge is very basic in the sense that I only used sounds from the internal (and vast) library of sounds. Also, I almost didn’t tweak any sound and just used most of them as is. I think it came out OK. The fourth single from The Prodigy’s upcoming album, No Tourists, is out. It’s called “We Live Forever” and it’s a fresh, fast-paced rave tune that takes you back to the 90s dance days with a modern Prodigy twist. The new album is out Novemeber 2nd.